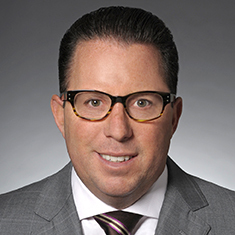 Lance Zinman serves as global co-chair of Katten's Financial Services practice and sits on the firm's Board of Directors and Executive Committee. Lance is a Registered Foreign Lawyer and a non-practicing partner in Katten Muchin Rosenman UK LLP. He represents hedge funds and commodity pools in all asset classes, private equity funds, investment advisers, commodity trading advisors and other asset managers. He also advises a broad cross section of proprietary trading firms—large and small—including many of the major firms in the industry. Lance's multidimensional skill set is unique, combining a deep understanding of corporate, regulatory, intellectual property and tax law, along with broad knowledge of the securities and derivatives markets. His extensive experience with these interconnected areas enables him to apply creative solutions to legal challenges, while also providing practical, common sense counsel. Lance provides comprehensive legal services to institutional and emerging asset managers and proprietary trading firms in need of a single advisor who can assist them with all aspects of their business. He counsels them on a wide range of issues, including corporate formation structure, futures, derivatives, securities and other regulatory matters, trading issues, brokerage and derivatives documentation, tax planning, intellectual property matters, labor issues, equity and debt financings, mergers and acquisitions, joint ventures and seed deals. Originally a corporate attorney, Lance later joined the firm's Financial Services group, creating an efficiently integrated transactional and regulatory practice. As a Chicago-based attorney, Lance has significant experience with volatility, algorithmic, low-latency and other trading strategies involving the use of futures, options and other derivatives. In addition, he counsels clients in other sectors of the financial markets, including domestic and foreign exchanges, brokerage firms, swap counterparties and other participants in over-the-counter transactions. Lance also advises clients that are looking to establish a presence internationally or trade directly on foreign exchanges. Separately, he represents clients in the entertainment and sports industries as well, including the Chicago Bulls, Chicago White Sox and Oakland Athletics. Lance is frequently tapped to speak at events on topics relating to hedge funds and proprietary trading, including Managed Funds Association (MFA) conferences and the SkyBridge Alternatives conference (SALT). Crain’s Chicago Business selected Lance for its prestigious 2012 “40 Under 40” list describing him as “a rare lawyer under 40 atop a big firm practice.” Lance was also named one of “40 Under 40 to Watch” in 2008 by the Chicago Daily Law Bulletin which noted that his “breadth and depth of experience have led his clients to describe him as one of the city’s top business lawyers.” In 2009, he was one of six attorneys to be named the “Next Generation of Leaders” by Chicago Lawyer magazine. Lance is also on the global board of directors of Hedge Funds Care, an international charity supported by the hedge fund industry dedicated to the prevention and treatment of child abuse.